However small it may be, it is not always easy to know how to prevent a wound from leaving a mark or scar. In fact, it does not matter the size of the wound as much as the healing capacity of the body and the skin type of each person. Especially when wounds occur in very visible areas of the body, the mark or scar may be more unpleasant. Visible marks that can be minimized by following simple tips when healing a wound in the skin. Why do the wounds leave a scar? Healing is the process of regeneration of the skin itself. When a superficial or mild wound occurs the healing will be rapid and almost certainly will not leave a scar. However, when the wound is deeper and has reached the dermis (below the epidermis, the most superficial layer of the skin), the skin regenerates creating connective tissue that is the one that gives rise to the scar or mark. Treating well the wounds is essential for it to cure and heal correctly and, at the same time, to reduce the marks that can leave in the skin. 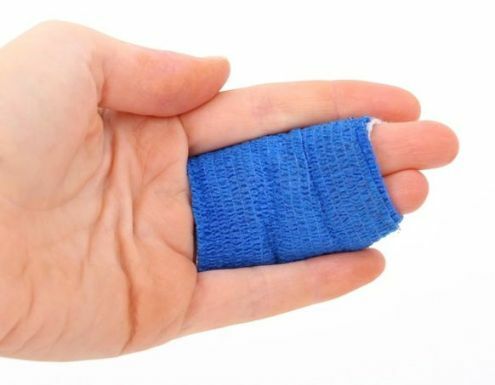 To do this, it is necessary to apply some basic first aid tips to act when the wound or cut occurs and, in case it is deep or severe, to go immediately to the doctor to avoid infections. Apply a clean cloth over the wound until it stops bleeding. Clean the wound directly with water or saline (do not apply alcohol on the wound), making sure beforehand that your hands are clean. Dry the wound with a clean gauze with slight strokes (without pressing). Avoid using cotton as it can get stuck in the wound. Once dry, apply some antiseptic solution and cover with a bandage or dressing. Until the wound is cured and healed, avoid exposing the skin to the sun. When the wound is closed, wear suitable sun protection. In some cases, it may be advisable to cover the area during the healing process with a bandage or dressing to keep the germs away. Clean the wound every day and change the dressing, especially if it is moist. Never remove scabs from wounds if we want to avoid scars. To accelerate healing, gentle massage can be applied to the wound area to activate circulation. To improve the healing you can apply rosehip oil or healing cream which sold in pharmacies. Carrying a balanced diet improves wound healing and healing processes.